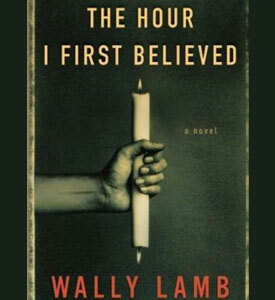 Thank you for your superb reading of I Know This Much to be True by Wally Lamb! Your careful reading, enthusiasm, and use of different voices was exceptional. Your attention to your craft made listening to an exceptional book even more of a pleasure. …I have concluded that you are one of a mere handful of people whose unique talent has enriched my life beyond expectation. Presumably I am one of many. An art itself [audiobook narration], the medium and the message combine to equal more than their sum. My life is just simply better for the experience and my gratitude is boundless. George Guidall is the best reader I have ever heard… his style, inflection, story-telling ability, and voice put an incredibly powerful tone in every story he reads. He has become my favorite, and I now even choose audio books just because he is the reader. …keep pumping George Guidall full of vitamins. He’s the most talented reader I have ever come across! I had the great pleasure of hearing you and seeing you in Las Vegas the other day. (I’m the Alan Furst fan.) I can’t recall a more valuable, interesting, and effective presentation by anyone. Thank you so much. I wrote previously about how I LOVE all of your audiobooks, you have the most versatile smoothest voice! I just wanted to thank you for the recent audiobooks from my favourite authors: Craig Johnson, Alex Berenson and Arnaldur Ingriosan-my favourite) I am unable to read anymore but listening to these stories brings all the characters and surroundings to life. It felt like Christmas when I recently discovered these audiobooks! You are the BEST thank you so much. I began listening to audio books about 20 years ago to give me piece of mind while driving through Los Angeles traffic. I cannot count the number of books I have listened to over the years, but I am always delighted when I hear your voice as I start a book. Of course, there are many brilliant audiobook narrators, but of them all you are my favorite. I can always rely on you to get the proper nuance and voice inflections to make listening easier and more enjoyable. You are remarkably talented and I wanted to thank you for the many hours of pleasure you have given me.